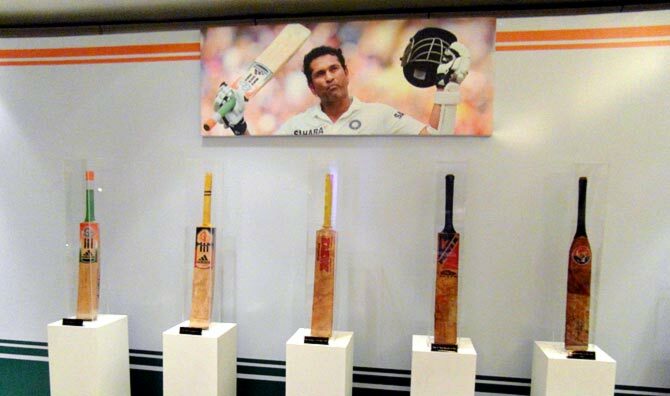 The Master Blaster gave his comments while discussing the topic in his 2014 autobiography ‘Playing My Way’, admitting that many had tried to convince him to adopt the use of a lighter bat throughout his career, which was something he just wasn’t comfortable with. I used a pretty heavy bat and I was sometimes encouraged to move to a lighter one. Again, I did try but I never felt comfortable, as my whole bat swing depended on that weight.“If you make technical adjustments, such as moving to a lighter bat, to cope with different conditions, there's a risk of making yourself feel uncomfortable and of thinking too much about your technique.“To me the bat should be an extension of your arm, and if you've reached the stage where it's become an extension of your arm, why do you need to change? What mattered to me most when I was batting was feeling comfortable. As long as I felt comfortable, it didn't matter where I was playing or who I was playing against. How do you choose a bat? To me the shape is very important. The bat must be thick and have more meat near the bottom. There should be a rounded kind of a blade. I don’t like a slim, flat blade. I want power in my shots so the bat should be thick and strong. Earlier, I used to play with a 3 pounds 2 ounces bat, but now I prefer a slightly lighter one. This is because I sprained my wrist in a benefit match. Kiran More was bowling. He tossed up a full toss which I tried to hit hard, and sprained my wrist. The pain would not go so I was forced to use a lighter bat. But that is still heavier than what other players in the team play with. I am just used to a heavy bat. I feel comfortable. It helps while playing on the up and forcing the ball in front of the wicket. How many grips do you use? Three, the thick handle gives me a better grip and feel. I feel comfortable and that is important because the feel is crucial. What about the grains in the willow? In a bat the feel is the most important factor. You pick up a bat, hold it in your hand and straightaway know whether it is right or wrong. For me grains are not an important consideration, there are various theories about the grains— some feel if they are close together the bat breaks quicker— but I don’t worry about these things. I have played with various makes in my career, as long as it suits me it is fine. How many bats do you use each season? It depends. 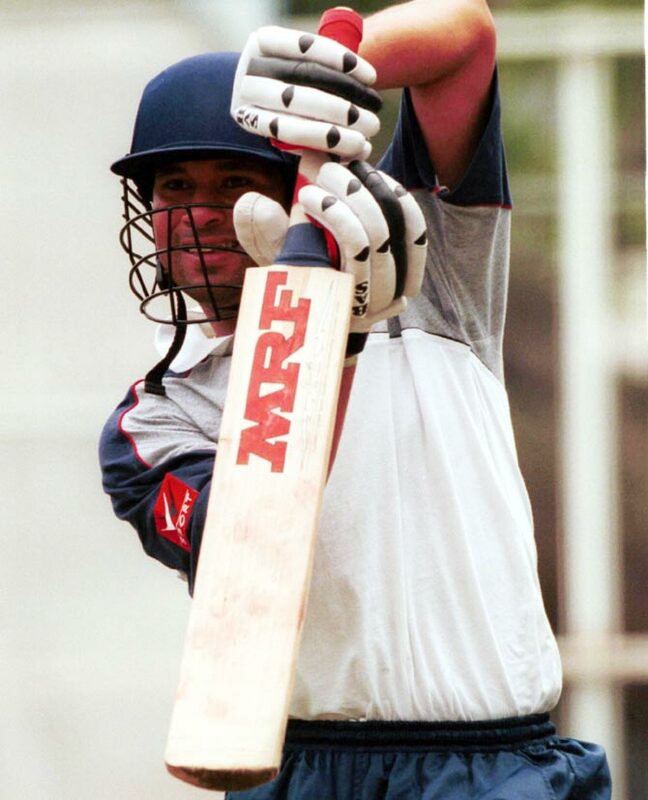 There was one bat which I used for about two- and- a- half years. It lasted till the last World Cup. I used to clean it myself. It was badly taped and each time I removed the tape the chips from the blade would come off. I would then carefully rearrange each piece, put a lot of superglue on the blade and stick back each piece one by one, then bind it up with tape again. It was a very good bat and I made lots of runs with it. Do you change your bat during an innings? No, I prefer to bat with the same bat. How do your bats normally break? From the bottom? Yes, usually. You mistime a shot and if it is near the bottom there is a danger of a crack developing. Sometimes the handle gives way, near the V. The edges are all right, you might chip the outside edge, depending on how you play, but that is all right. I try and save my better bats, I don’t use them in the nets. I don’t want to risk my match bat in the nets. I have always played with half- spikes, with metal studs round the toes and rubber studs otherwise. Even while fielding. I have never used the usual ankle high, full spikes which bowlers need. I prefer the lightweight morrant pads, I have played with them for long, the ball hits the pad and goes off, you can get a leg bye easily. The ball doesn’t drop dead, it travels off the pad. I normally don’t use chest guards. In Australia for a few innings I played with them because I had an injury. I am fit but I could be better; there is a lot of scope for improvement. Unfortunately I don’t like running, I prefer other exercises like training, stretching. I don’t think I’ve made a mistake on a cricket field because of being unfit. I have never got out because I felt tired. I run my singles hard and whenever there’s a need I push myself on the field and stretch.